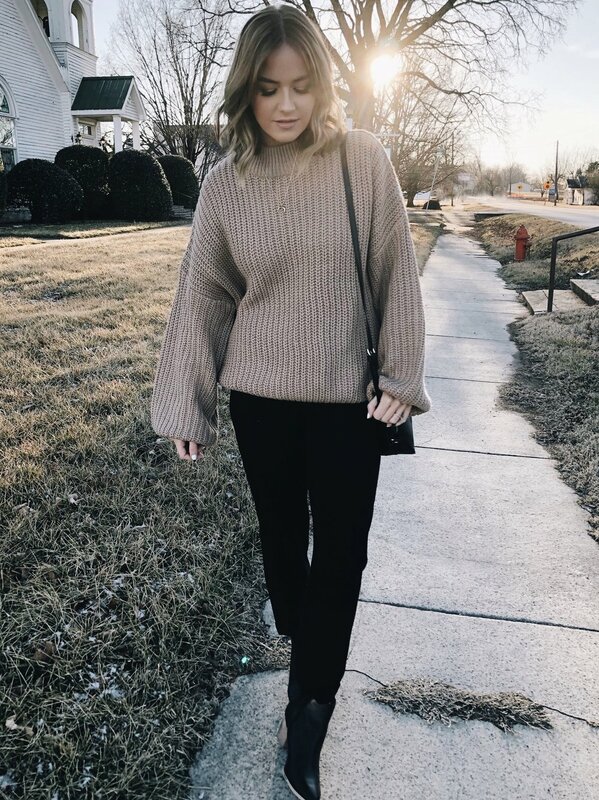 Round Up 3: What I've Been Wearing — shelbey w.
These past couple of months I've really been exploring some fun looks I normally wouldn't go for. My usual daily look is a nice knit sweater/jumper, paired with boyfriend jeans and some type of slip on shoe. I've been sporting a pair of black suede booties I picked up from Gap right before Christmas. Faux suede normally isn't my cup of tee but these always appear so sleek and you can hardly tell that the material is sueded. I also picked up a pair of metallic Reebok sneakers that are a HUGE leap from what I would generally wear. They're super fun and add a sporty element to my outfits.